I have read every one of your books to date and have been completely immersed. My wife is of a similar mind. It would be a privilege to meet you when you are next on your local patch in the Birmingham area. And it would be a pleasure to meet you both too! I am not sure when I will be doing something in Birmingham again. Right now I am on tour in the US, hence the delay in replying! There seems to be very little demand for any author appearances in the UK these days, but I am sure I will do something before too long. Keep an eye on the website calendar. It all started with Candlemoth. I was completely blown away by this book. Never knew that this kind of writing was possible in a literary way for a thriller. And many more books followed. Each book on a very high level even outstanding. 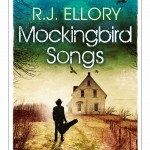 What a wonderful writer R.J. Ellory is. I hope there are many more books to come. Well, I don’t know what too say! That is hugely appreciated, Johannes, and I am thrilled that you enjoyed Candlemoth and the ones that followed. There are many more to come! Love your work . . . please keep them coming! Thank you so much for your wonderfully kind message. That really means a great deal to me. It’s been a while since we communicated. Although I’ve followed all of your books until 2015, I missed out on Mockingbird Songs. That is now going on my Christmas list. I promise to follow you more closely in 2016. When are you next going to be in the Surrey area? It really has been a long time, hasn’t it? As for Surrey, I’m really not sure when I will be down that way. Book events are a rare and extraordinary occurrence in the UK these days as there really doesn’t seem to be that great a call for them. I think we’re going to start contacting the county library services next year and see if we can’t organise some ourselves. I’ll keep you posted. Trust all is well with you and yours. Have a truly wonderful Xmas, and I do hope you enjoy ‘Mockingbird Songs’! I hope you and your family are keeping well and all set for Christmas? Thanks once again for the suggestion regarding The Shipping News. I was hooked (pun intended!) from the first page and adored Proulx’s diction, characterisation and descriptive passages. Very unique. From there, I read Carnival of Shadows that I throughly enjoyed. I hope 2016 is a great year for you in your personal and professional life and I look forward to “Mockingbird Sings” that I’ve already ordered! That is most definitely a ‘Marmite’ book. I have recommended that to quite a few folks, and they either love it or hate it. So pleased you enjoyed it. Her sort story anthologies – ‘Close Range’ and ‘Bad Dirt’ – are wonderful as well. Glad to hear you enjoyed ‘Carnival’ too, and I’d love to know what you think of ‘Mockingbird Songs’. All the very best for a wonderful 2016, Peter, and we’ll speak again soon. read all of them over time and the sheer pleasure i have derived from doing so is indefinable . Thank you so much for taking the time and trouble to write. I am thrilled that you have enjoyed the books so much. That really means a great deal to me. As far as your review is concerned, I assume you mean for ‘Carnival of Shadows’. I have had a look, but can’t seem to find your name in amongst the various reviews. Under which name was it written?